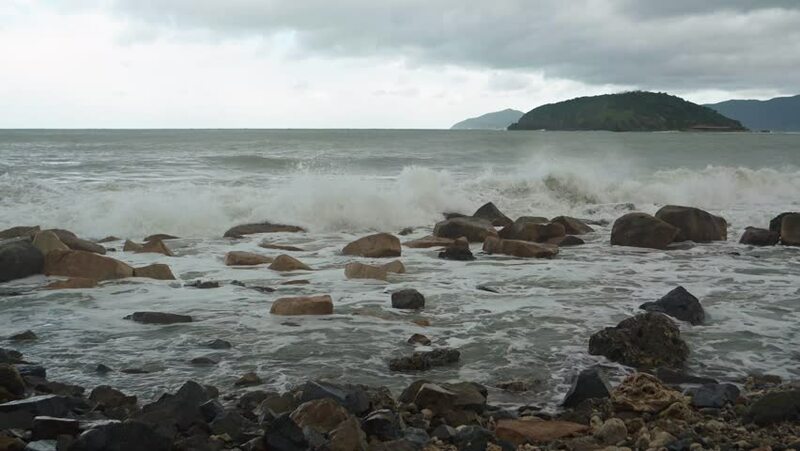 Ocean waves roll and break over a rocky stretch of tropical beach in Vietnam on a gray and overcast day. hd00:21Sea with big waves before the typhoon. Sea of Japan.